After Udta Punjab, Vivek Oberoi, Riteish Deshmukh, Aftab Shivdasani and Urvashi Rautela starrer Great Grand Masti has been leaked online. Yes, director Indra Kumar’s upcoming film Great Grand Masti, which is based on adult comedy, has been reportedly leaked online. The film, which was slated to release on July 22, has made ways to Internet already and it’s very shameful. Just like Shahid Kapoor’s Udta Punjab, even Great Grand Masti movie has been leaked with ‘Censor Copy’ mark on it. This is really a shocking development and has left many questions in the minds of the makers of the film. The cyber cell police had taken a strong action against the piracy when Udta Punjab was released online. 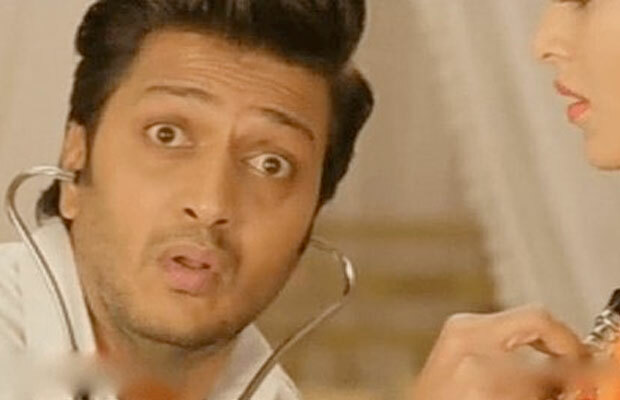 It remains to see what action do they take for Great Grand Masti. The censor board copy is available to download on various servers. In fact, many users have uploaded the screenshots on Twitter, which shows that the film has been leaked online and many of them have already started downloading it. Well, it remains to see what action Great Grand Masti makers will do against the piracy. Previous articleSalman Khan’s Advice To Sister Shweta Rohira Over Split With Pulkit Samrat! Next articleTigmanshu Dhulia Launches New Project – Raag Desh Amidst Presence Of Eminent Bollywood Director!